This massive new base-class clocks in at 59 pages, 1 page front cover, 1 page editorial, 1 page SRD, leaving us with a huge 56 pages of content, so let’s take a look, shall we? At 1st level, the demonologist receives 3+Cha-mod uses of Summon Demon as a SP, with a duration expanded to 1 minute per level, increasing the potency of the spell by +1 at 3rd level and every 2 levels thereafter, with 19th level capping via the option to duplicate gate, though this still requires the material component and only one such effect can be in place at a given time to prevent the spamming of the ability. Handy lists of critters to be summoned with the diverse SPs are provided for your convenience. The class also obviously features an eidolon stand-in, which, in this case, would be the demonic servant, which, as a summoned creature, adheres pretty much to the same limitations as the eidolon. The demonic servant sports d10 HD (with a 3/4-progression) and similarly sports a 3/4 BAB-progression. Demonic servants choose two good saving throws and one bad one and begin play with two skill-points and one feat, scaling up to up to 60 skill points and 8 feats. The total armor bonus of the demonic servant may be split among natural and regular armor bonus and scales up to +16, though the demonic servant may not wear armor beyond what this class feature grants. The evolution pool scales up to 15 points and the maximum number of attacks caps at 7. Demonic servants begin play with Darkvision 60 ft. and a link-ability (once called “link” and once “infernal link”) as well as share spells. Second level nets evasion (14th: improved evasion) and 5th level and every 5 levels thereafter bar the capstone level 20 provides an ability score increase. 9th level provides Multiattack and 6th level a +4 to saves versus enchantments. The basic framework of the demonic servant is also determined by the base form: Bebilith, Demon, Contracted Devil, Fallen Angel, Nightblade, Salamander and Qlippoth are available. These forms determine the base forms and also have base evolutions. These servant types also determine bonus spells and 4th, 8th and 12th level provide bonus abilities that include SPs, evolutions and DRs. 20th level also provides a unique ability for the respective demonic servants. Starting at 2nd level, they have a Demonic Circle, with a diameter of 5 ft, increasing the diameter by +5 ft at 5th level and every 5 levels thereafter for a maximum of 25 ft. at 20th level. Creating a demonic circle is a move action that can be used 1+ Cha-mod times per day. Places circles cannot be moved once placed, though it can be dismissed as a free action. Unless otherwise noted, effects of circles last for Cha-mod rounds and a given circle remains in effect for class level rounds. Demonic Circles can be dismissed via Dispel Magic and outsiders seeking to pass through the circle need to make a Will-save versus 10 +1/2 class level + Cha-mod to do so. Demonologists are immune to the debuffs caused by their own circles, but their servants and allies are not. A given demonologist can only maintain one such circle at a given time, though multiple demonologists may overlay circles. 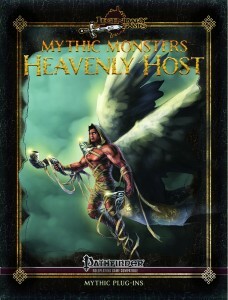 At 2nd level, 3rd level and every odd level thereafter, the demonologist also learns a so-called circle power and generally, they are interesting – the effects to be chosen range from synergy with hexes to negative energy damage to defensive buffs – which oddly, in one instance, include resistance against a chosen energy, including negative energy or force damage, two energies which usually are valued higher than the elemental damage types. Admittedly, that’s a minor, aesthetic complaint, but still. Pretty interesting would be the option to use a circle power to enhance a cauldron used in brewing potions: Thereafter, the thus enhanced potion also affects the demonologist and his servant upon consumption, provided they are within 30 ft. of the imbiber. The circle powers diverge in power rather significantly: Automatically rendering targets flat-footed, no save, is pretty strong, even when taking the limited AoE into account. Off: Circle Powers may scale, but there are some “greater circle powers” – which I *assume*can be taken at 10+ levels, but I’m not sure – the pdf fails to specify when they’re unlocked, though 14th level provides the “Greater Circle” ability, which otherwise is missing from the pdf. Similarly, when hexes are gained, table and text contradict one another – which is, again, pretty bitetr since the respective new hexes provided tend to get complex abilities right…on the other side, there are SUs that duplicate spells sans specifying caster levels for the respective effects. There also is a hex that grants you limited flight sans the base hex’s limitations, which is a bit odd. In a particular odd formatting choice, the hexes sport the “major hex” header twice. At 19th level, demonologists can make permanent circles and as a capstone, the demonologist can tie his lifeforce to his personal circle as well as benefit from an apotheosis. The class can choose from several archetypes: The Fiendflesh disciple replaces the demon summoning SPs with scaling fiendflesh armors – which is pretty great, though it does get the precise wording for the mixed energy type breath weapon down slightly more wonky than it should be. Infernal Traitors walk the thin line, trying to sabotage the forces of darkness from within – as such, he may conjure forth good creatures and may not be lawful. On the problematic side, the archetype learns quicker summonings, which open a can of worms regarding the actions available for the creatures summoned -how many do they get? The summoning powers replace the circle progression. The Sacrifist gains a metamagic feat instead of circle powers, though these require the use of blood sacrifice of either the sacrifist or creatures called, though I literally have no idea how this self-damage component is supposed to work, and neither are my players. 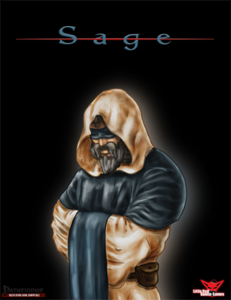 Furthermore, the sacrifist can call creatures and stab them to power his magic: Which works as a sneak attack…kind of. The called creature is treated as helpless and is subject to sneak attack-like damage…though I’m not sure whether that ought to be precision damage or not. Similarly, sentient mortals may be sacrificed and here, there are pieces of info on self-sacrifice/self-inflicting damage. I like the idea, but in play, this works surprisingly badly – the damage-output of the demonologist and the whole mechanic grinds the game to a screeching halt and can often lead to time-consuming battles with your own called creatures. Zakyas are pretty much the rakshasa-themed archetype provided herein, with a modified servitor that takes the shape of a piece of treasure – which completely changes how the servitor works and a complex template scaling with the respective rakshasa’s progression. Additionally, multiple choices pertaining the thematic focus generally make this a cool, complex archetype. The pdf provides a wide array of new feats and favored class options, the latter of which extend to numerous non-standard races. On the feat-side, self-inflicting damage to power metamagic (with an anti-abuse caveat!) can be found alongside a feat that lets you turn penalties incurred by pain effects into benefits. E.g. gaining Vanish when your servitor crits is interesting, though CL-info would have been appreciated. The pdf goes on to provide an extremely detailed spell-list, including sources – so much work and passion put into this…it breaks my heart. The pdf also provides a selection of information regarding demon possession as an acquired template which includes benefits by demon – pretty damn cool! The pdf also provides a selection of nice spells as well rules for the abyssal steel material and the Butzemonn books, which generate haunts that feed off Cha and increase in power, with certain classes being able to control the effects. Editing and formatting are, unfortunately, deeply flawed: There are not that many formal glitches, but lacking italicization of spells, confused headers and similar inconsistencies make this book harder to use than it should be and even impede core functionality of the content herein. Layout adheres to a beautiful 2-column full-color standard with some awesome pieces of full color art. The pdf comes bookmarked and with hyperlinks. This is one of the reviews that breaks my heart. Brian Berg and Matthew Stinson have crafted a class that OOZES style, that practically demands being used. The demonologist and its options sport several unique, damn cool options and is even innovative in several instances. I *really* like this class…or I want to…but can’t. You see, this class does not sport a single component of its core mechanics that is truly functional – from spells to cantrips and hexes, even the base functionality is impeded to the point it doesn’t work. The issues in the details pale before these glaring problems, though they can be found as well…alongside fully functional, working pieces. I don’t get this pdf…I really don’t. On one hand, this looks professional in a significant array of the most complex of options and shows that the authors can get the rules-language right…only then to stumble over the most basic things in the worst way. Worse, from what I can see, the class per se looks solid – I’m pretty positive this *was* playtested (though some options diverge in power-levels pretty significantly) and this certainly looks like a passion-project and oozes heart’s blood. It’s horribly frustrating for me as a reviewer to then have to say that this class, alas, fails its task. 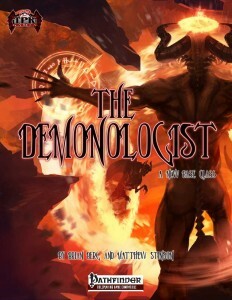 The demonologist can be salvaged, it can be fixed; the supplemental material is cool and this pdf does have potential; it does show work and passion and has style…but it also is rushed, flawed and really would have required a capable developer/rules-editor to streamline and make it work as intended, sans those avoidable issues. As written, try as I might, I can’t rate this as functional – it’s simply RAW not; it’s exceedingly, frustratingly close…but yeah. Hence, my final verdict can’t clock in higher than 2.5 stars, rounded down to 2 for the purpose of this platform. 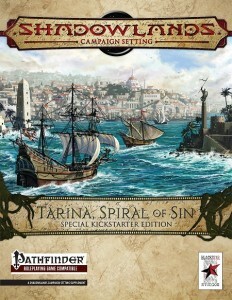 You can get this inspired, but very flawed class here on OBS and here on d20pfsrd.com’s shop! The latest, massive book of Dave Paul’s terrain-centric spell-collections clocks in at a whopping 50 pages, 1 page front cover, 1 page editorial, 1 page SRD, leaving us with a massive 47 pages of content, so let’s take a look! This review was moved forward in my review-queue as a prioritized review at the request of my patrons. Okay, so at this point, I have to quite frankly admit to being giddy like a school-girl whenever one of these terrain-centric spell-books by Rite Publishing hits my review-pile. At a point where I honestly considered the topic of spells to be done and covered, these spells have, time and again, blow me away by their precision and unique concepts – and similarly, this one begins with a rather exciting mechanical innovation: We take a look at settlement-sizes and their size-modifiers, which range from -4 to +4 – it is said size modifiers and settlement sizes that directly influence how the spells contained herein work. Additionally, some of the spells contained herein are designed to appeal explicitly to uncommon caster classes and combinations – like arcane tricksters et al. The pdf codifies spells by class and level before diving into the main meat of the product – the spells. And from the get-go, I’m smiling: Acrophobia instills fear of heights; Alight the Holy Terrace duplicates Word of Recall, but saves only you and dumps you at the stairs of a church, later even inside – we’ve all read comics where the hero, battered and bruised, escapes and crashes in front of a church, to be found in the middle of the night. So yeah, sold! The third spell herein increases your chances of finding extraordinary treasure – and this is more exciting in practice than in theory…how did the item get here? Why is it for sale in the first place? This is a means for the GM to give the players what they want sans breaking the rules AND facilitates introducing new plot-lines. Gold. Blasphemous Aura is a game-changer of a spell – at 3rd level, this one allows for the hampering of divine magic and channel energy, both of which now have a chance of failure while inside the emanation. The spell sports a warning sidebox – though personally, I don’t consider it problematic: You see, for one, fiction sports ample instances where proximity to a particularly viable creature, be it a servant of the elder gods or a powerful undead, hampers spellcasting for divine characters. Secondly, the conservative AoE ultimately results in the spell being of an appropriate power-level for 3rd level spells. Thirdly, as any GM who has faced a channel-centric character (like a divine channeler) in the hands of a power-gamer can attest, the lack of a decent countering mechanic for the Su is a rather obvious hole in the rules-context. So yeah, as far as I’m concerned, I’ll be adding this spell to the arsenal of quite a few of my adversaries. If you’re still somewhat hesitant – my Scion of Discordia-class in Interjection Games’ Strange Magic was playtested for months and features similar lock-down abilities, so no – this does not break your game, though admittedly, it may make bastions of churches and casters less secure…but at least in my book, from a narrative point of view, that’s a good thing. Speaking of specific spells that really make a GM’s job easier – Can’t Leave Town is the spell-representation of the delightful horror-trope, where you try to leave a settlement, only to re-enter it. Similarly, versatile Columns of Smoke can make it rather easy to escape…and notify allies/send signals. Of course, there would also be spells herein to conjure forth constructs of filth and loathsome debris to squash your adversaries (and even merge them in the case of more powerful variants). There would also be a spell that allows you to place a ring on the finger of a target to compel the target to only deal nonlethal damage – this makes so much sense for the punishment options of a society wherein magic exists. Similarly, nonlethal force-based means of dispersing crowds make sense as magical riot-control. Calling forth dogs or summoning cockroach swarms can be found here – as can be a cantrip to dry clothes. There also is a rather nasty one that allows you to fear on the fear of crowds, consuming it and converting it into personal power – a neat magical representation of instigators feeding on fear. There is also a particularly interesting spell called Fortune Teller’s Curse – this one nets you insight into past, present and limited prescience and is VERY powerful – but it also represents a way of burdening a PC and adding unique means of enhancing investigations…at a price that will make the PC want to get rid of it. I’d consider this one problematic, were it not for the warning. Rather interesting from a story-telling perspective: Gleaning information from graffiti! Making mirrors Narcissus-traps or traveling by them. Illusion-based misdirecting vapors or becoming Nondescript is interesting – and what about a spell called Persistently Unconvinced that installs a conviction in the mind of the adversary that he’s not really in danger – this does look wrong, right? A kind of illusion, surely? In the hands of a halfway decent illusionist, this makes for a lethal smoke and mirrors game! Editing and formatting are very good, I noticed no significant glitches. Layout adheres to Rite Publishing’s two-column full-color standard and the pdf comes with multiple awesome, gorgeous full-color artworks. The pdf comes fully bookmarked for your convenience. Dave Paul has singlehandedly reignited my excitement for new spells. 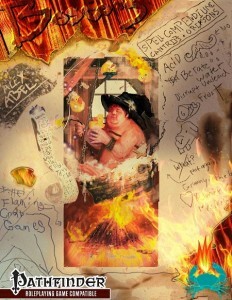 After more than 2000 spells read, I was, quite frankly, bored by most such books. When Dave Paul came along and began crafting not only exceedingly precise and complex spells, but actually started innovating within the frame work of what spells usually do – and he expanded his game. So far, not a single one of these books is anything short of pure excellence – and this is no different. Using settlement size modifiers here and there is pretty interesting and, for the most part, the magic herein is MAGICAL. It feels like magic. You won’t find bland “deal x damage” spells herein. If you’re looking for those, open just about any pdf out there and look for the spell-section. 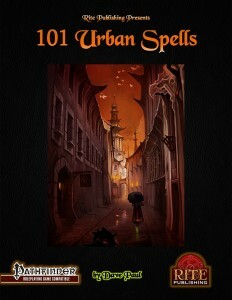 What you’ll find is themes, flair, complex options and spells that inspire whole modules, perhaps even campaigns – this book practically demands being inserted into any urban campaign – from Road to Revolution to Curse of the Crimson Throne to Council of Thieves and beyond, this pdf enhances the game, innovates mechanically and provides precise, complex spells that get their wording right. Where something can be problematic in contexts, the pdf warns you, even in cases like the anti-channeling where I’d issue no such warning myself. All in all, this continues Dave Paul’s streak of absolutely stellar spell-books, cementing the series further as the unquestionable benchmark for what good spellbooks can and should do. My final verdict will clock in at 5 stars + seal of approval, given without any hesitation. Stellar! 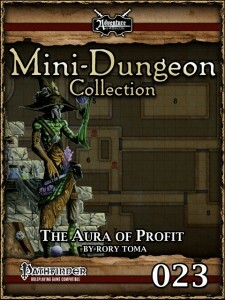 You can get this superb pdf here on OBS and here on d20pfsrd.com’s shop! All right, as always, we begin this installment of the mythic monsters-series with supplemental material, which this time around, would be an array of 9 mythic feats – the first of which would be Sanctified Servant, a feat that denotes you as a servant to the forces of the high heavens, which serves as a gateway-feat that allows the character to from then on take (Sacred)-feats, including means for increasing healing, halos, using channel energy/lay on hands to add Purify Spell to item-based spell effects – which btw. translates to making the spell [good] and changing energy to 1/2 untyped, with evil targets having a harder time resisting this. At only +1 level cost, this one would be too strong sans the gateway-feat, so nice job there. Better SR versus evil effects and better sneak attack versus evil foes are solid, but overall, I wasn’t too blown away by these – they are nice and balanced, though. We begin this supplement’s monsters with agathions, the CR 11/MR 4 avorals being the first – and from the get-go, you’ll notice something: They play differently than their non-mythic versions – radically so. As skirmishers, they can quickly disengage adversaries and withdraw with adversaries in tow, if need be!) and fire Toppling salvos of magic missiles…oh, and yes, dual attacks after moving. This makes the avoral actually excel at its target role – kudos! The CR 15/MR 6 leonal has a similar bonus damage array to melee attacks versus evil-doers, but is more focused on melee and teamwork, as befitting the nature of these leonine champions of goodness. Rendered in a surprisingly creepy full-color artwork at CR 3/MR 1, the Silvanshee is subject to a continuous nine lives and makes for a superb familiar for good spellcasters, including a gaseous form that retains the creature’s defensive properties. The CR 7/MR 3 vulpinal is all about bardic prowess, freedom and calming emotions – champions of the downtrodden and enslaved, these creatures may grant metamagic via mythic powers to allies. Obviously, this book also contains angels and the astral deva (CR 17/MR 7) not only receives access to the powerful litany-spells, they may actually end challenges, judgments and the like and render the damage caused nonlethal…speaking of judgment: A scroll allows them to pronounce judgments. Pretty awesome build! The CR 3/MR 1 Cassisian receives a defensive aura and may use its powers to support allies, allowing them to roll two Will-saves and combine mythic surges with that. They also get a nice artwork. At CR 15/MR 6, the monadic deva may use mythic power to unleash an anti-elemental/evil-creature burst and purge elementals and chain devastating morningstar attacks together. The CR 12/MR 5 movanic deva has an always-on bane and their purifying greatswords can unleash daylight via mythic power and sever the enslavement of animals, plants and undead. The CR 20/MR 8 Planetar can unleash flurries of razor-sharp feathers and actually unleash lethal wing buffets with all 4 wings and as celestial master strategists, these creatures may share teamwork feats among their allies. Oh, and their very flesh of emerald ice is anathema to evil. Awesome! Speaking of which: Arguably one of the most lethal creatures out there is the solar and the CR 28/MR 10 mythic version is so lethal, I can see theory-craft threads springing up on how to take them down. AC 56. Regen 15. Almost 500 Hp. DR 20/- (applies even against SPELLS, smites, etc! ); exceedingly high SR, deadly SLs and spells, no-save dazzle aura (blind on failed saves), miss chances, immunities…oh, and spontaneous negation of negative levels, ability damage and mythic power-based negation of conditions…and know what? Offense is just as brutal. 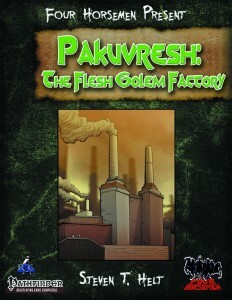 This may actually be one of the most deadly builds to have ever been printed for PFRPG – love it! These guys *WILL* put up a brutal fight against even the best of PCs! Now, as always, we receive a new creature herein, which, this time around would be the CR 8/MR 3 Rhampholeal agathion – small bipedal chameleon-humanoids that not only look cute, but also kind of badass – and yes, they are superb infiltrators and foes of demon-kind and their abilities sport trickster path abilities. Nice to see stealthy scouts enter the ranks of the heavenly host, particularly with such a nice visual. Jason Nelson, Jonathan H. Keith and Sean K Reynolds deliver in this installment: Much like devils, angels and agathions are determined by their hierarchies as well as by their alignment-axis: They need to excel at their respective areas of expertise and provide accordingly well-crafted, precise and lethal builds – and oh boy does this deliver! The forces of goodness need to be fearsome and the creatures herein deliver in spades. Better yet, where some base creatures were mostly defined by their SPs, they now have their distinct, unique tricks that render them an integral part of heaven’s armed forces. No admittedly, compared to some creatures in the series, the new critter herein didn’t blow me away, but the builds overall can be considered to be truly astounding and even this nitpick regarding the execution does not rattle the awesomeness of the idea of a celestial chameleon humanoid. Come on – that’s truly cool! All in all, this is an inspired addition to the series, well worth 5 stars + seal of approval. 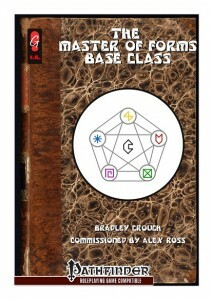 You can get this cool installment in the series here on OBS and here on d20pfsrd.com’s shop! 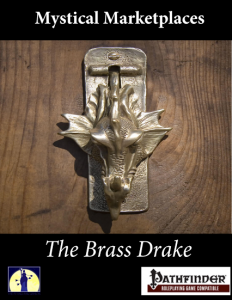 Taylor Hubler’s and Dylan Brooks’ Brass Drake is a nifty place to shop and hang out with: The patronage system and its unique perks have potential galore and the Brass Drake’s unique concept is captivating and evocative -fluff-wise, this is great, though it perhaps could have used a bit more descriptive text to shine…particularly since the place sports no map. This is perhaps my biggest gripe with this book – while interesting and concept-wise awesome, the lack of description on what the store truly looks like, its layout etc. made it more opaque to me than it should have been. Granted, this may be by design, but at least a general array of features and/or dressing would have catapulted this up in the rating scale. My second gripe with this book is that I really would have liked to see a sample menu, a more detailed list of goods available…or at least goods pertaining more to the topic of time.